If a worker retires, becomes disabled or dies, the OASDI program provides benefits to the worker and their family. The SSI program pays benefits to financially needy individuals who are disabled, elderly or blind. The maximum monthly Federal cash payment under the SSI program is $710 for an SSI recipient who is living on their own with no other countable income. OASDI benefits coming into a household would qualify a countable income and reduce the individual’s monthly benefit. 152 additional concurrent beneficiaries received combined payments in over Federal limits because of system-related errors that the OIG had been previously reported to the SSA in a previous audit. In 2011, the SSA stated it had taken corrective action to resolve these problems, however, errors on these payment records persisted. Based on the OIG’s figures, SSA made $3.4 million in SSI overpayments. If SSA does not correct the errors, OIB predicts there will be another $2 million in overpayment over the next year. The OIG has turned over the names of the 2,747 beneficiaries who received the overpayments. 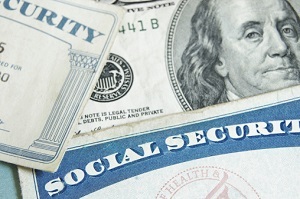 If you have become disabled and are considering applying for Social Security benefits, contact anAustin Social Security disability attorney to help navigate you through what can be a complicated and long process. Call the law office of Bemis, Roach & Reed at (512) 454-4000 for a free consultation.